The JUGS BP1 Softball Pitching Machine throws FASTBALLS, RISERS AND DROPS for fastpitch teams, and perfect ARCHING TOSSES for slowpitch teams. The JUGS BP1 Softball Pitching Machine has established itself as the most popular and widely used softball pitching machine in the world. 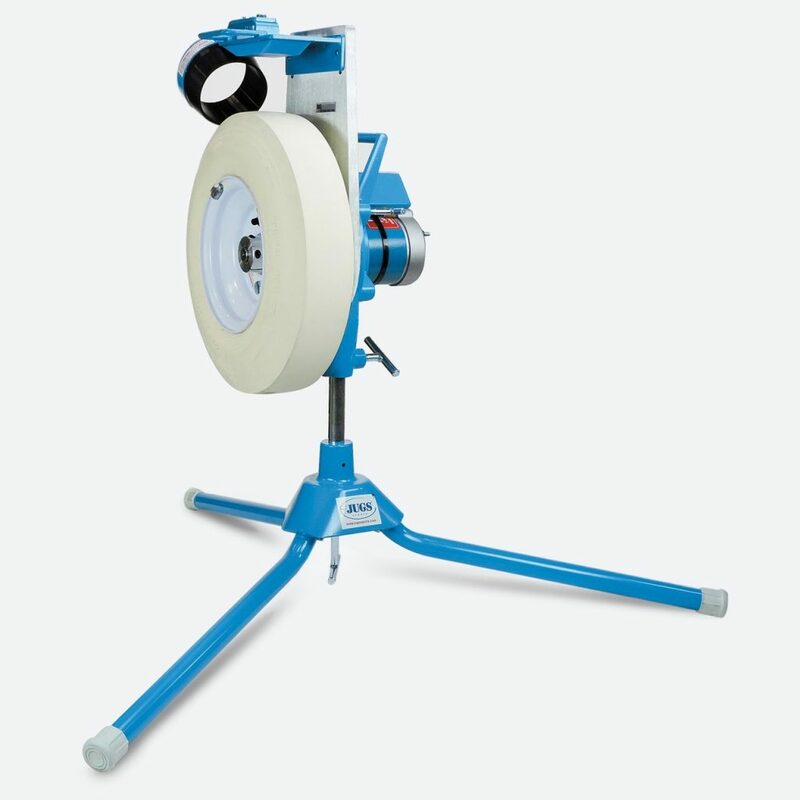 The JUGS BP1 Softball Pitching Machine is generally used by Pitching Machine Leagues, High Schools, & Youth Leagues. Simply Tilt and Roll: Moving your JUGS Softball Pitching Machine is easy with the JUGS Softball Transport Cart option. Once your machine is attached to the Transport Cart’s base, simply insert the handle, tilt and roll.